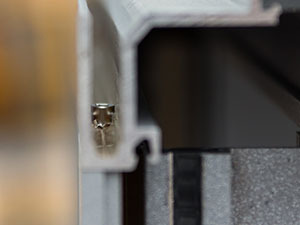 The form and function of the U-MAX™ and MAX™ front glazed suites get a major boost from an innovative assembly design utilising a humble, unassuming piece of hardware, an external screw. We took a screw with a square drive head and moved the glazing pocket marginally further back. The glazing pocket is set at the perfect distance to get the best strength, stop transom rotation, support the load and drain water. No other front glazed system supports transoms as well. 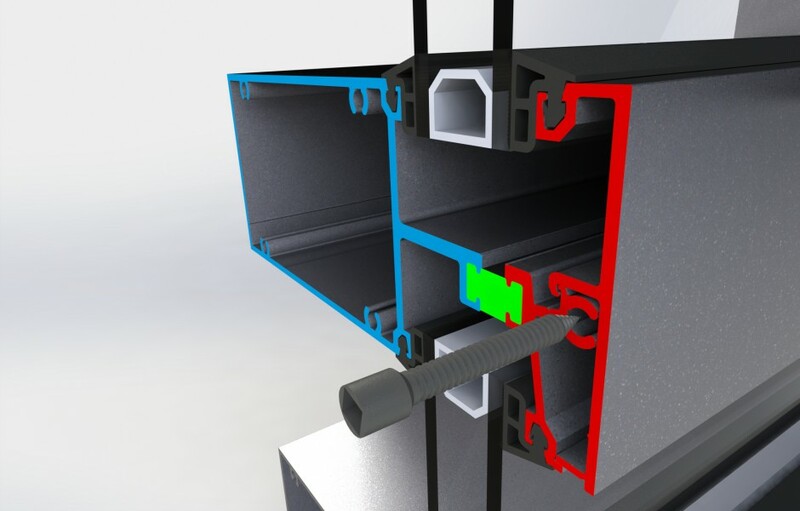 Frame fixing external to the glazing rebate provides structural support of the frame and glass without interfering with drainage. The joint won’t open up and allow water in. The unique frame assembly of EDGE Architectural differs from what everyone else does with a front glazed system. It’s just one more neat little difference with our front glazed system. All these little differences add up to a major difference in performance and aesthetics.